Travel has never been more rewarding – or more complex – than it is today. Frequent flyer programs are still wildly popular, but airlines are also expanding and diversifying the ways in which they generate ancillary revenue – and that means more partners, more channels and more complexity. The complexities of today’s airline business are felt the hardest when – and not if – things go wrong, such as when irregular operations (IROP) leave thousands of tired, angry, frustrated passengers stranded and in need of hotel accommodations. This is one area where airlines desperately need a bridge between operations and commercial systems. Passenger service systems are not designed to connect stranded passengers with available hotel rooms, so re-accommodating passengers becomes a laborious, manual, offline process with desk agents frantically searching for answers. If airlines could bridge the gap between operations and commercial systems, they could empower passengers to select their own hotel rooms on a mobile device, provide special options for loyalty program members and turn a nightmare experience into an opportunity to earn customer satisfaction and loyalty. The loss in demand as consumers avoid travel due to IROP is estimated at $3.9 billion USD a year. Airlines may be preoccupied with operations decisions, but unless they improve the IROP experience for millions of passengers, the problem will keep getting worse – and margins will suffer. The idea is to move beyond the desk approach and create a passenger-centric strategy to irregular operations. Airlines miss out on ancillary revenue opportunities as passengers stand around waiting for information – this is an opportunity not only to solve real problems for customers but also up-sell and cross-sell ancillary packages and products. 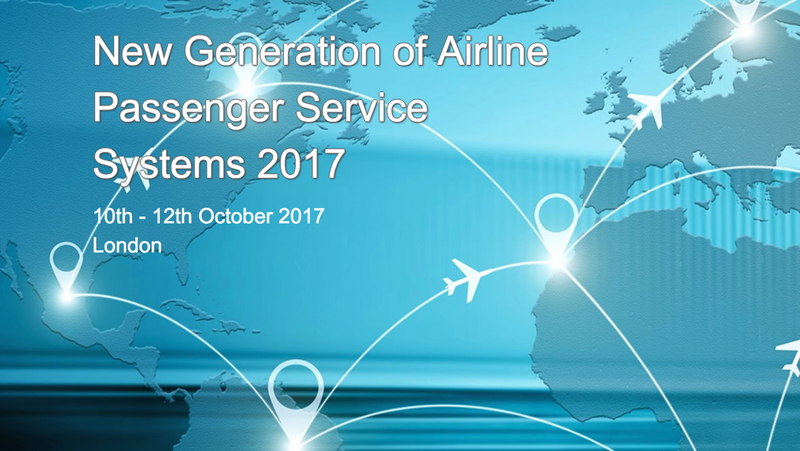 A new generation of passenger service systems must not only improve operations, but also make it easier to connect airlines with a complex ecosystem of vendors, partners and channels – allowing them to reduce costs, mitigate risks, communicate effectively and capture new and higher ancillary revenues. Fortunately, airlines don’t have to put off solving problems until a new generation of passenger service systems appear. Switchfly can be the bridge that airlines need, connecting operations and commercial systems here and now. Earlier this year, Switchfly launched the Airline IROP Management solution and has been trialing the product with airlines in several markets, currently for re-accommodation needs and eventually re-booking as well. By connecting directly with the airline’s PSS to read PNR data, the Switchfly solution alerts passengers when a flight is cancelled and requires accommodation. Passengers receive a notification via text or email from the airlines to select a hotel to stay at until their flight. In other words, no more standing around waiting for information. Passengers can view available hotel rooms and select the room of their choice without ever seeing the price or having to approach the airline kiosks. Switchfly provides the technology to make these connections, but everything is brand-matched with the airline. In other words, it’s Switchfly’s platform but your brand, and passengers see an airline going above and beyond what they have come to expect from disruptions. Switchfly is focused on improving bottom-line results for airlines as well as helping passengers. Airlines can save up to 20% on the cost of a hotel room by leveraging Switchfly’s global network of approximately 410,000 unique and verified hotel properties. Airlines can add new and higher ancillary revenues as they integrate loyalty membership into the IROP process. And they can up-sell and cross-sell passengers through Switchfly’s robust connections to activity, air, car, hotel and insurance products. Airlines will always have disruptions – just recently a “network issue” in the Altea system caused worldwide outages and delays. As airline find their way toward a new generation of passenger service systems, they can also find immediate solutions by managing disruptions better on the passenger side – which is precisely what Switchfly delivers with Airline IROP Management. The key to managing disruption in a digital world is to make connections – between airlines and passengers and between airlines, vendors, partners and channels. This makes it easier to communicate and engage with passengers, add value to the entire travel experience, and create new and higher streams of ancillary revenue for airlines. You can meet us at the New Gen PSS conference in London from October 10-12, where I am providing additional insights at the speaking panel “DISRUPTION MANAGEMENT IN A DIGITAL WORLD” (Wednesday, Oct 11 - 16:40 GMT). For more information you can email me at jsteele@switchfly.com.